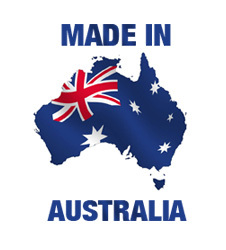 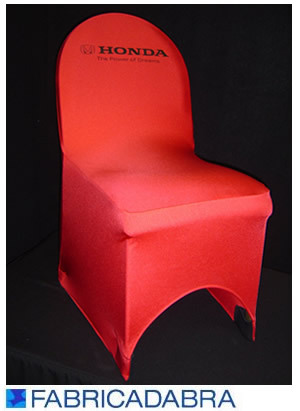 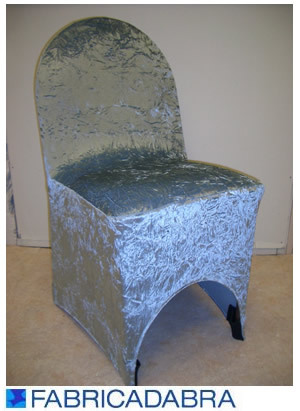 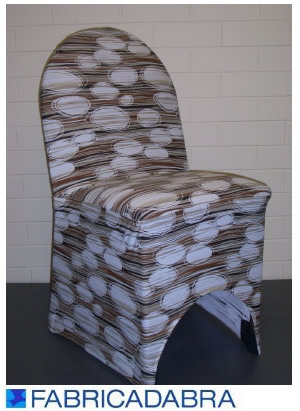 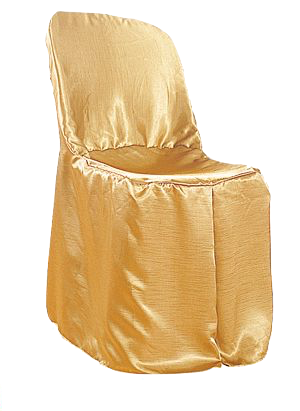 All chair covers produced by FABRICADABRA are 100% manufactured in Australia. 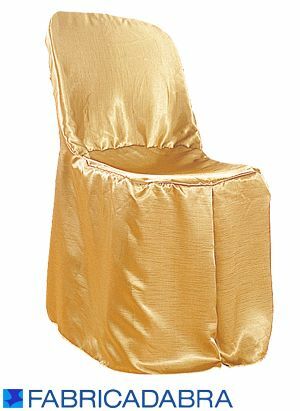 We make to order a vast range of high quality fabric chair covers in a range of colours and fabrics including fitted, non fitted and stretch Lycra. 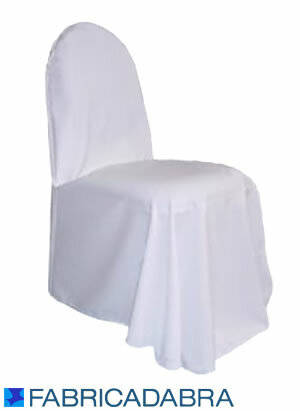 As all chair covers are made to order, they will suit and fit any chair. 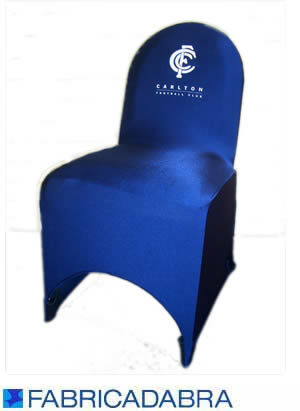 Fabricadabra was the first company to make stretch Lycra covers in Australia and we pride ourselves with making the highest quality version of this cover. 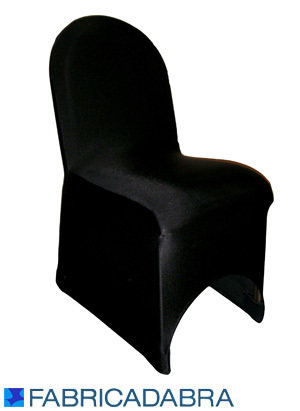 These are made to withstand commercial use and we use neoprene cups for the feet. 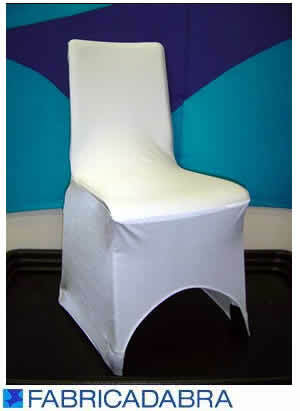 They can be used on most banquet chairs, and can be modified to suit the bistro plastic stackers. 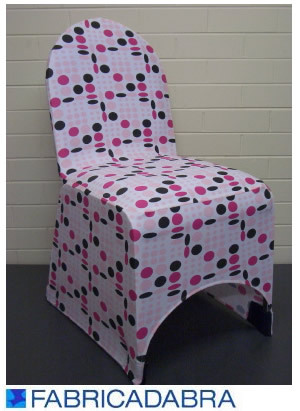 Also available in printed fabric subject to availability. 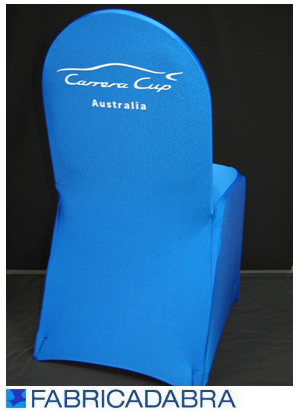 Care for these correctly (cold water, gentle wash, small amount of detergent) and these covers will last for years and prove highly economical for rental companies. 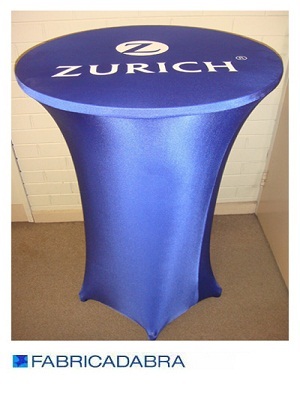 Chose from 20 Lycra colours and the option of printing your corporate logo. 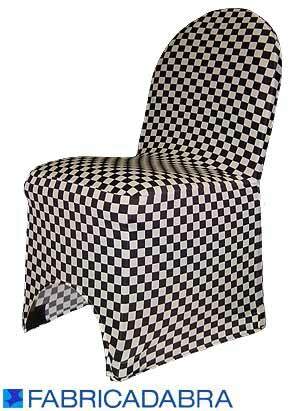 Stock of black and white vegas covers are available for immediate urgent orders. 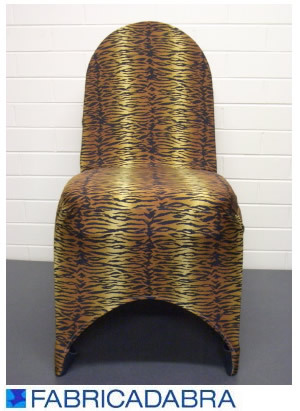 Lycra bands and chair caps sold separately. 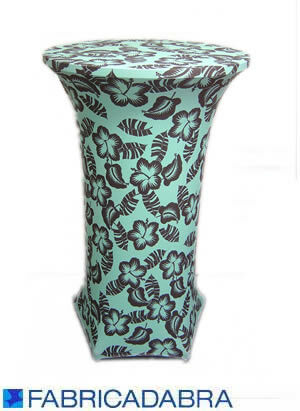 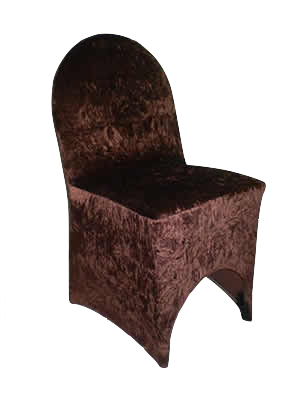 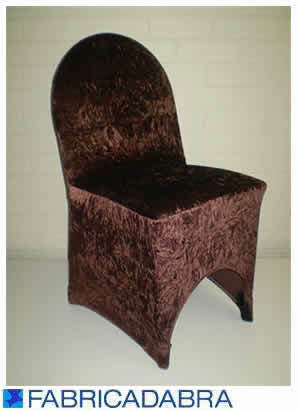 This uses the same pattern as our famous Vegas chair cover but made from our crushed panne velvet fabric. 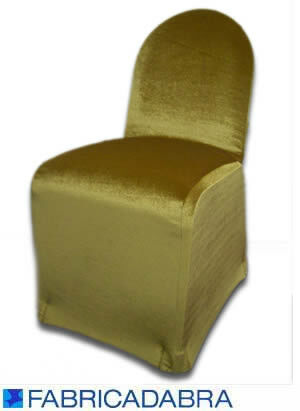 We import he Plush fabric ourselves and is available in 12 colours. 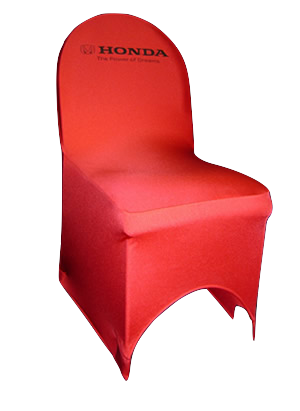 The Bistro chair is a stackable chair made from moulded plastic and is one of the most popular chairs in the event hire industry. 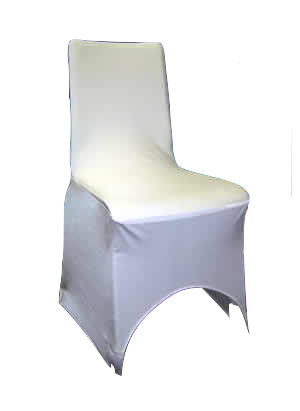 Add a chair cover made out of Nevada or Mechano and the chair is transformed into a beautiful piece of furniture fit for any function. 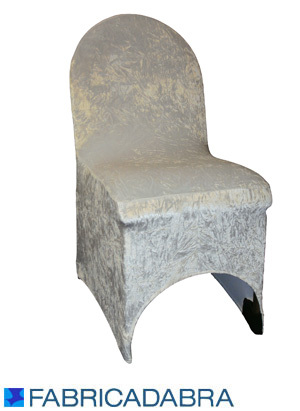 Nevada and Mechano fabrics are available in a large range of colours. 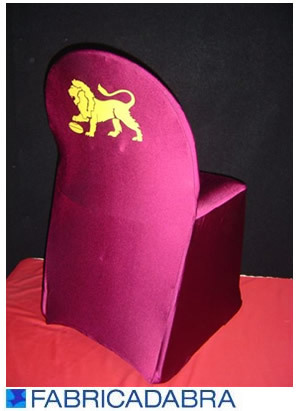 A square topped chair found in many restaurants and cafes. 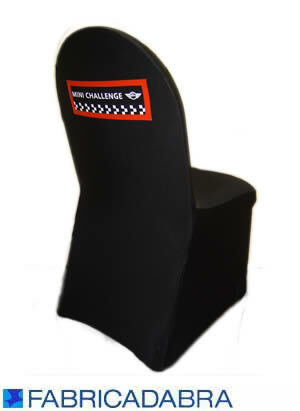 We make both stretch Lycra and regular fitted covers for these. 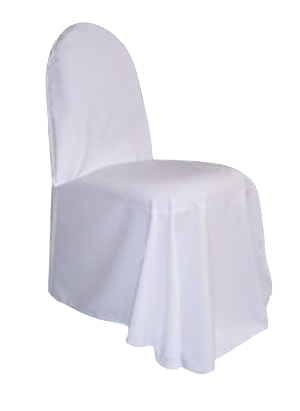 This non-fitted cover is perfect for those classic, elegant functions such as weddings. 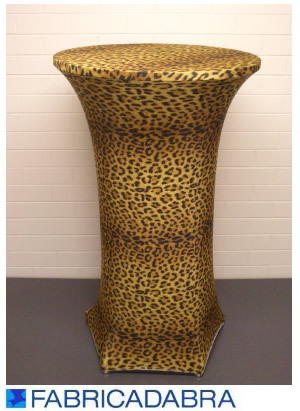 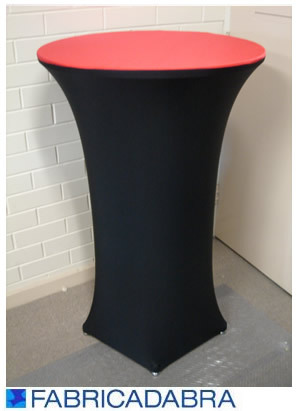 Perfect for any venue or event using cocktail high bar tables. 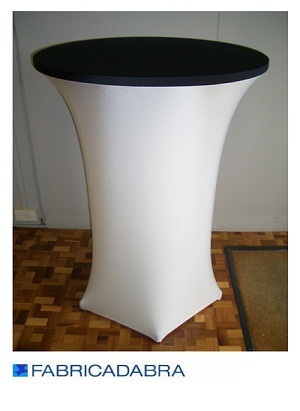 These simple covers convert this standard table into a sleek piece of furniture. 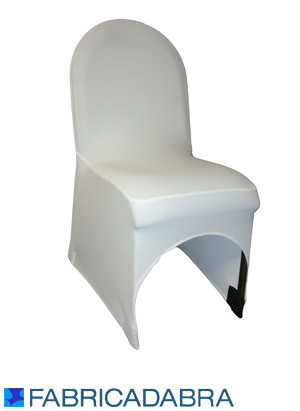 Stock of black and white high bar covers are available for immediate urgent orders. 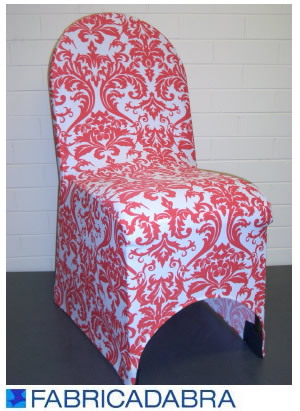 Also available in two-tone and printed fabrics subject to availability. 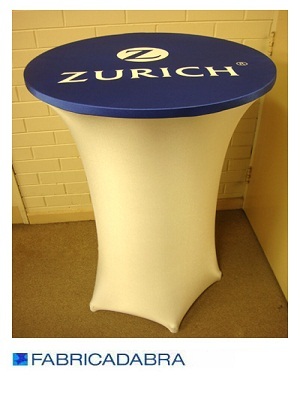 Logos can be printed if required. 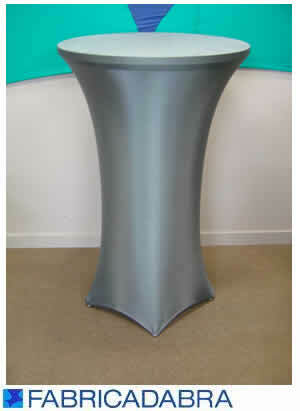 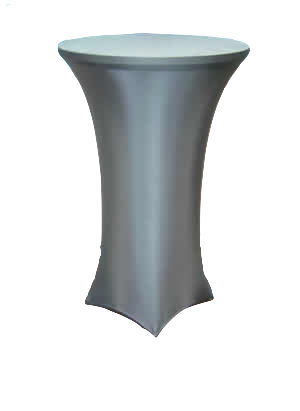 Standard measurements – 1100mm high with 600mm diameter top. 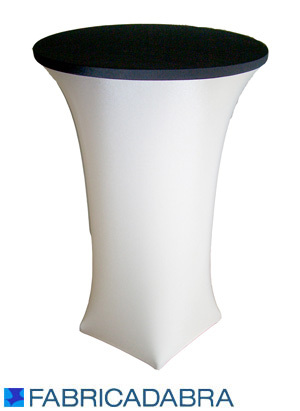 DISKLYTE NOW AVAILABLE – a wireless LED system to illuminate inside these Lycra covers!